not that exciting. they must revamp the specs of the phones to be more competetive. like a tablet with a snap-on controller harnessing the ps certification with vita games playable, an android phone with a xenon flash+exmor sensor would be something good. why dont they take the extra leap. they have the technology why not maximize it. be the trendsetter. sony if you want to beat the samsung and apple in popularity and sales take the extra mile. im a sony fan but im not quite happy with their effort guess a bit more. I expected more from Sony with the T & the TX. I sure hope that this means the price of Xperia Acro S will drop. 13 mp camera and 1080p grt... job..
Sam, 29 Aug 2012i would love to owner the Xperia T. 1080P screen if it is true. Asphalt:Heat or NFS will look ... moreIt's fake info, sorry. 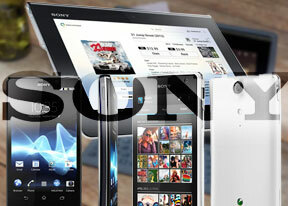 Despite mobile-review had already previewed the phone, ppl still kept rumoring stuff..
QuickMobile like Sony Xperia !!! dadofdon007, 29 Aug 2012sony releases a 4k resolution 4 times of full hd 1080p tv a xperia tablet named xperia table... moreYou forgot the Vaio Duos 11 (darn highly specced 11 inch Windows 8 tablet) and Vaio Tap 20 (All in one / convertible jumbos tablet).